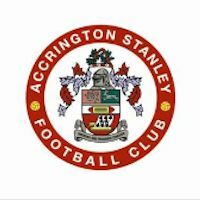 An investment deal that will see new ownership at the helm of Accrington Stanley Football Club has been agreed following a Shareholders meeting.The landmark deal sees local businessman and Farleys client Andy Holt become a director at the club. The negotiations, overseen by Farleys’ specialist corporate team, will also see What More UK Limited and the parent company of the What More Group 0404 Investments Limited absolve the club’s outstanding debts that currently stand at an estimated £1.2m. Established in 1999, What More UK is widely regarded as a leading distributor in both UK and internal markets. With a global reputation extending beyond the company’s humble regional roots, What More UK has enjoyed rapid growth over the recent years acquiring considerable business acumen. The influx of capital provided by Andy Holt – founder of What More UK – was agreed on the basis that he became a Director of the Company and it’s controlling Shareholder, moves that were formally agreed at the meeting. Led by Debbie King, Farleys provided all requisite legal advice assisted by our Sports Law department. Andy Holt said: “All lower league clubs have similar problems with lower revenues and struggling with finance, but what kills them is high debt. Stanley is known as ‘the club that wouldn’t die’ and the fact that it hasn’t is a credit to those currently and previously involved in the club, and who have backed it financially. “People like Eric Whalley, Ilyas Khan, Peter Marsden and the other directors there have now backed the club to the hilt. What attracted me to getting involved was their integrity and commitment to the club, matched on the field by John Coleman and his team. All the staff there are Accrington Stanley to the core and they are people I know I can work with. In the past six months Farleys’ corporate team have assisted in a number of deals of both regional and national significance. This latest deal adds to the team’s extensive portfolio as they continue to establish themselves as North West leaders in corporate law. For further information on how our experienced team can assist your business call 0845 050 1958, alternatively please complete an online enquiry form.